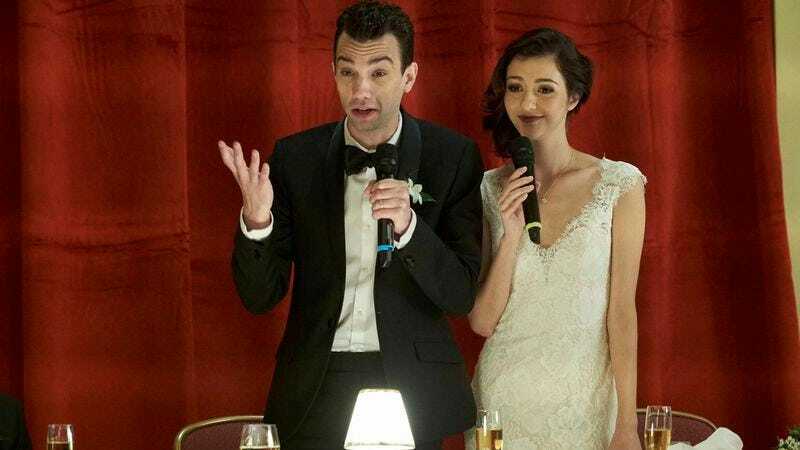 FXX’s Man Seeking Woman finished its most recent season with a romantic climax, with the wedding of Jay Baruchel’s titular Man, Josh, and Katie Findlay’s Lucy. But while creator Simon Rich made it clear that he was still game to create more seasons of the show’s heightened, absurdist take on dating woes, FXX has decided to call off the pursuit. According to The Hollywood Reporter, Man Seeking Woman’s third season will be its last, with the cancellation order coming earlier today. The network presumably pulled the plug both on the grounds that the show had found a workable end point for itself, and because its ratings have never been top-notch. Season 3 showed a bump over its predecessors, but still only brought in a few hundred thousand viewers every week, despite glowing critical reviews.